Filmed in the counties of Greater Manchester and Lancashire. 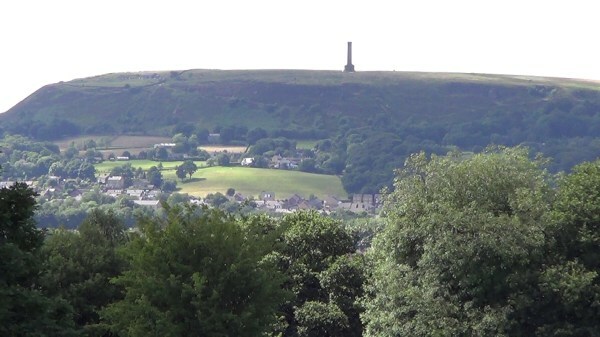 Locations include Ramsbottom , Holcombe Moor , Pilgrims’ Cross and Peel Tower . 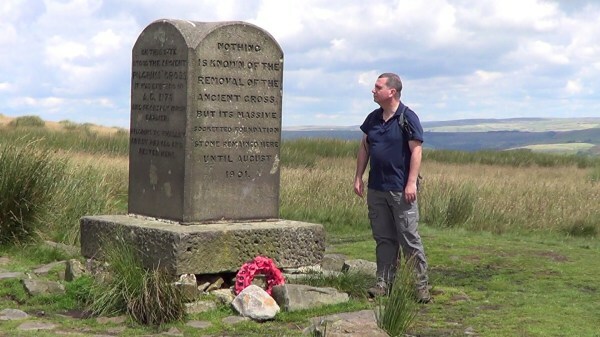 This is the first film in the West Pennine Moors . It has been lovely to discover that uploading my videos online has led to people subscribing to my YouTube channel . I have also received comments on some of my videos. 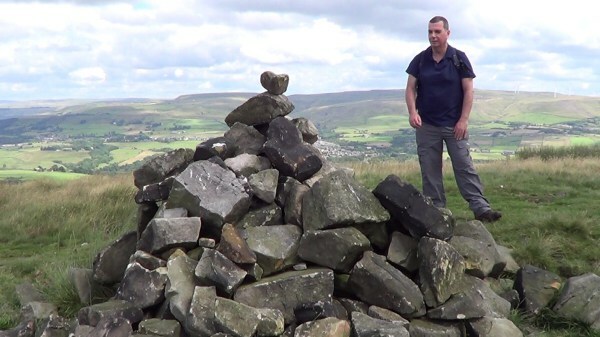 During 2015 I received a really nice comment from a subscriber praising my video of “ Proud in Pendle ”. 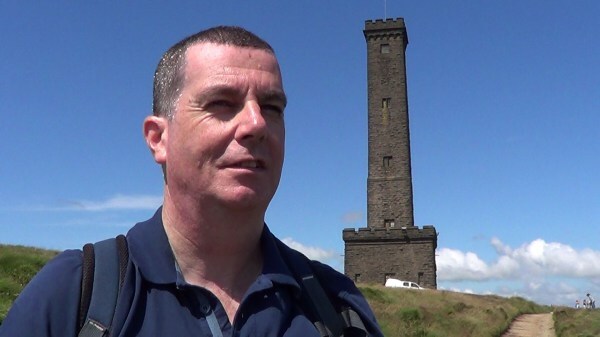 In his comments he recommended I film a walk on Holcombe Hill near Ramsbottom , which had a tower on the hilltop with some interesting history. He said he was sure I would make a great video. 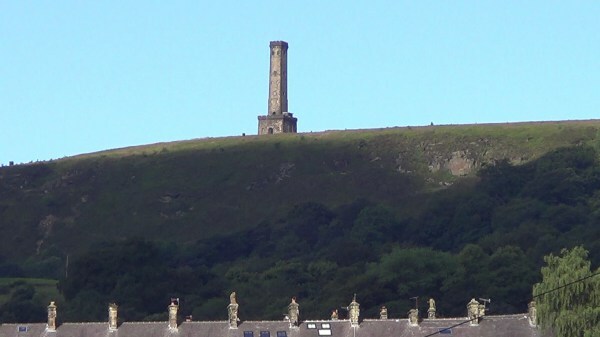 I had never heard of Holcombe Hill or Ramsbottom, so I Googled it to find out where it was. 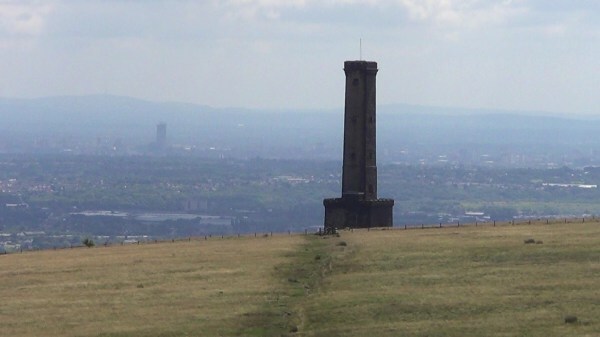 It wasn’t a location I had ever visited, but there was something familiar about it, and I think it was because I had probably seen the aforementioned tower from a distance when driving along the M66 between Manchester and Burnley once or twice in the past. I decided it would indeed be an interesting place to shoot a film of “The Solitary Rambler”, so I added it to my list of future projects to film sometime the following year. 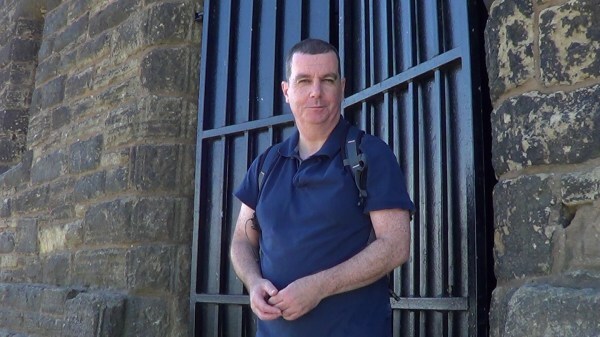 On Thursday 14th July 2016 I set out to film “Hilltop of Holcombe”. 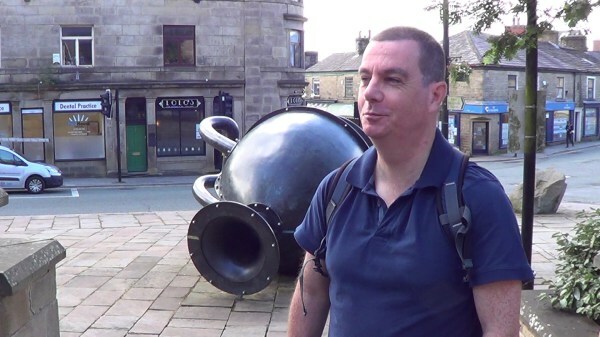 I arrived in Ramsbottom just after 9am and parked my car in the free car park at the top end of Market Place to commence shooting. Starting beside the railway station I filmed various shots of the town as I walked along Bridge Street and included the “Tilted Vase” in Market Place. 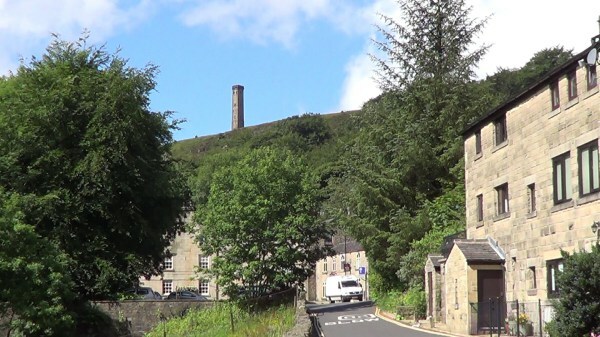 Moving on from Ramsbottom I drove up the steep hill to the Peel Tower car park just south of Holcombe village . I walked along Holcombe Old Road into Holcombe village before taking a path leading onto Holcombe Moor. Taking many shots of the wonderful views I eventually turned off at Buckden Wood towards Beetle Hill. At the top I walked across the moors alongside the firing range below Bull Hill, onto Pilgrims’ Cross before finally reaching Peel Tower , where I captured several shots of the great monument. As I climbed back down the hill to the car park and drove off I stopped at a layby on the A56 to get one last shot of the distant view of Holcombe Hill with Peel Tower. 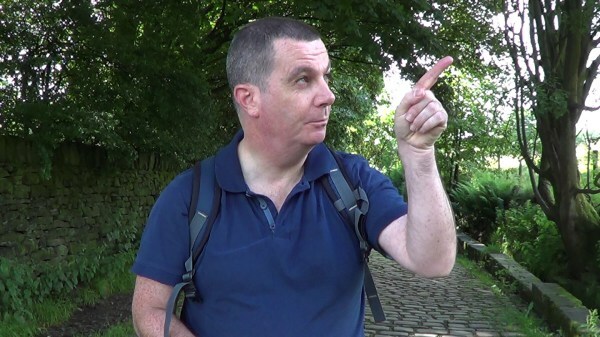 When I started work on the editing, aside from recording the commentary and music, I needed to overdub one of the scenes I had filmed on Harcles Hill. The wind had almost completely muffled the sound when I spoke a line, so I just needed to re-record that line at home and overdub onto the scene. I didn’t have any clear ideas as to the music, but I knew I wanted a dramatic soundtrack, especially for the Peel Tower scenes. I chose to compose the music with a similar sound to parts of my soundtrack I created for “Proud in Pendle”, i.e. the use of nativity choir voices from my keyboard. I eventually came up with a few chords to play with these voices, and from that developed the gentler themes with the string voices for the scenes on Holcombe Moor.